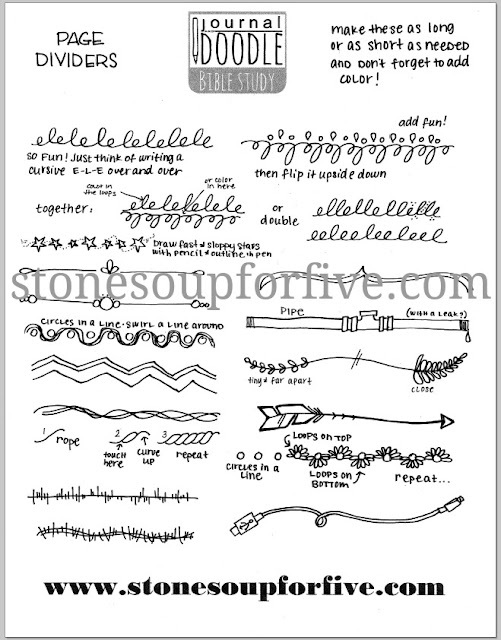 Stone Soup for Five: Doodle Wednesday -- Page Dividers! Doodle Wednesday -- Page Dividers! Today's doodles are different kinds of dividers to separate your page. Use these across your page, or vertically to make columns or separate information or make text stand out. you are so dang creative. absolutely brilliant. thanks.